Every diamond is different, incorporating a complex constellation of factors that determine the rarity of each stone. Although gemologists train for years to master the art and science of diamond appraisal, with a little basic instruction, anyone can learn how to read an appraisal and compare the grades of different stones. Each diamond is as unique as the person who owns it. Just as a diamond reflects the color of the light it bears, it should also reflect the personality of the individual who wears it. Herein lies the art of selecting a diamond, for yourself or as a gift for a loved one. Your knowledge of yourself, or your knowledge of a loved one, is expressed in your selection. Through your choice of a diamond, you are making a public statement about the loved one--and about your relationship--and that statement is repeated every time the diamond is worn. This is why, for many women, there is such mystique in diamond jewelry gifts, and why, for many men, there is such uncertainty in its selection. What is important in the selection of a diamond has little to do with the cost of the jewelry and much to do with the richness of the relationship. Carat is the term used to describe the weight of any gemstone, including diamonds. Although the definition of a carat has changed over time, since 1913 the international standard has been 200 milligrams, or 1/5 of a gram. Often, jewelers describe carats in 1/4 increments. In jewelry pieces with more than one diamond, the carats may be described in terms of total carat weight (TW). This is the combined total weight of all the stones in the piece. Diamonds can range in size from a fraction of a carat to several carats. Given the rarity of large stones, however, the price increases rapidly with size; therefore, a single 2-carat diamond will cost much more than two 1-carat diamonds. Very large diamonds with good color and clarity are very rare. Expect to pay a premium for stones that are above a full carat weight. For example, a .95 carat diamond will cost a bit more than a .90 carat stone, but a 1-carat stone will cost significantly more than a .95 carat stone. What are clarity enhanced (CE) natural diamonds? The most beautiful diamond that you have dreamed of is now at a price you can afford. A clarity enhanced diamond is a real, natural diamond that is mined from the ground, not created or man-made. Clarity enhancing means optically removing feathers and other internal inclusions that almost every diamond contains. To achieve this, the diamond goes through a high temperature and high-pressure thin film infusion process using state-of-the-art technology. The thin film material is set to match the reflective index of the diamond itself, thus increasing the clarity. This process results in the diamond's clarity being improved, on average, by one and half grades, but does not add any measurable weight. By filling the inclusion, the light traveling through the diamond will now be reflected according to the natural path of the light, giving you a more brilliant, visually dazzling diamond. Why would you purchase a clarity enhanced natural diamond? What are laser treated diamonds? For laser treated diamonds certain inclusions are removed with a laser and an acid. The process works as follows. With the laser a hole is drilled of less than 0.2 millimeters to reach the inclusion. This can be repeated multiple times. The diamond is then immersed into an acid. The acid then flows into the laser drilled holes and onto the inclusions. This causes the inclusions to dissolve into the acid. Consequently the clarity of the diamond is inmproved. 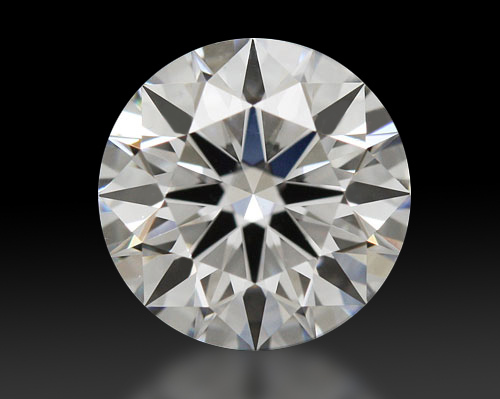 Van Amstel diamond offers all types of laser treated diamonds. This treatment is permanent and is certified by the GIA (Gemological Institute of America). For more information or your specific diamond request please contact us. What are clarity enhanced colorless natural diamonds? The "color" of our colorless diamonds is untreated. Only the clarity of the clarity enhanced colorless natural diamonds is treated. The best known and most popular diamonds are colorless diamonds. Click here to learn more about clarity enhanced natural diamonds. What are clarity enhanced treated fancy diamonds? Besides the well-known colorless diamonds, there are also fancy diamonds. Fancy diamonds can be, for example, yellow, blue or pink. We offer fancy diamonds with a natural color or a treated color. Natural fancy diamonds with a beautiful natural color are very scarce. These natural fancy diamonds can cost hundreds of thousands of dollars. For the same exquisite beauty, treated fancy diamonds are a very affordable alternative. These fancy diamonds are clarity enhanced and color treated by irradiation and "annealing". These processes mimic the natural coloring processes of natural diamond formation. These treatments are permanent and totally harmless. The treated fancy diamonds are natural diamonds mined from the ground. For more information or your specific diamond request please contact us. What are clarity enhanced untreated fancy diamonds? Besides the well-known colorless diamonds, there are also fancy diamonds. Fancy diamonds can be, for example, yellow, blue or pink. Natural fancy diamonds with a beautiful natural color are very scarce. These natural fancy diamonds can cost hundreds of thousands of dollars. These fancy diamonds are clarity enhanced and have an untreated natural color. Due to the clarity enhancement it becomes possible to buy diamond with a natural color for a reduced price. The clarity enhanced natural fancy diamonds are natural diamonds mined from the ground. For more information or your specific diamond request please contact us. Click here to learn more about natural fancy diamonds. How do our offers come about? As a leading supplier of diamonds in Europe, we oftentimes buy our diamonds for better prices than the usual diamond stockist or retailer. We also make regular bulk purchases known as diamond parcels. This allows us to negotiate for very favourable prices, which we readily pass on to you as consumer savings whenever you select the stone of your choice from us. On rare occasions, when a diamond stockist or trader within our European network gets into operational trouble, we are offered the opportunity to purchase genuine diamonds at below market value while helping them out of their obligations. This we only do sporadically, because we go to great lengths to make sure that any inventory we carry is only of the highest quality. For more information or your specific diamond request please contact us. Why would you buy an EGL certified clarity enhanced natural diamond? The EGL certificate is a comprehensive and internationally recognized diamond certificate. EGL is the grading standard for clarity enhanced diamonds. We offer a best price guarantee and the possibility to view your diamond. For more information or your specific diamond request please contact us. What are untreated diamonds with a natural clarity? These are natural diamonds that have never undergone any treatment to improve clarity. These diamonds retain the clarity is as it is mined from the ground without any enhancement. These are the regular untreated diamonds that you can buy from any other retailer. The difference we provide you at Van Amstel Diamond is that we are (often) able to buy our diamonds at better prices and operate with tighter margins. We can therefore offer our diamonds at very competitive prices to you. For more information or your specific diamond request please contact us. All our untreated diamonds are GIA (Gemological Institute of America), HRD (Diamond High Council) or AGS (American Gem Society) certified. These are the worlds most reliable diamond grading laboratories. What are untreated colorless diamonds with a natural clarity? These colorless diamonds are completely untreated in both the aspects of "color" and clarity. Their "color" and clarity are as they were originally mined from the ground. These are the regular diamonds that you can purchase from any other jeweler. The difference we provide you at Van Amstel Diamond is that we are (often) able to buy our diamonds at better prices and operate with tighter margins. We can therefore offer our diamonds to you at extremely attractive prices. For more information or your specific diamond request please contact us. All our untreated diamonds are GIA (Gemological Institute of America) or HRD (Diamond High Council) certified. What are natural fancy diamonds? Besides the usual colorless diamonds, there are also fancy diamonds. These fancy diamonds can include yellow, blue and pink diamonds. The color of natural fancy diamonds are as mined from the ground. Natural fancy diamonds are rare, occurring in only 1 out of every 10,000 natural diamonds and are therefore very expensive. Click here to learn more about natural fancy diamonds. Most lovers of diamonds love the blinding brilliance of a white/colorless diamond that sparkles incessantly. However, if you are a connoisseur of natural fancy diamonds and you are looking for a specific colored diamond, please contact us for a special order. How do our diamond offers come about? As a leading supplier of diamonds in Europe, we oftentimes buy our diamonds for better prices than the usual diamond stockist or retailer. We also make regular bulk purchases known as diamond parcels. This allows us to negotiate for very favourable prices, which we readily pass on to you as consumer savings whenever you select the stone of your choice from us. On rare occasions, when a diamond stockist or trader within our European network gets into operational trouble, we are offered the opportunity to purchase genuine diamonds at below market value while helping them out of their obligations. This we only do sporadically, because we go to great lengths to make sure that any inventory we carry is only of the highest quality. Why would you buy a GIA certified untreated diamond? The GIA certificate is a comprehensive and internationally recognized diamond certificate. Here at Van Amstel Diamond, we still offer you the lowest price guarantee. For your specific GIA certified diamond, please contact us. What are GIA certified HPHT (High Pressure High Temperature) treated diamonds? The HPHT (High Temperature High Pressure) treatment is called by some experts the “miracle” treatment. Considering that the treatment results in diamonds that are only distinguishable in a laboratorium from untreated diamonds using very specialized instruments. The HPHT process improves the color of the diamond. The prices of colorless HPHT diamonds can be 30% lower than untreated diamonds. Besides colorless diamonds the HPHT treatment can also result in color (fancy) diamonds. These color diamonds are with respect to color indistinguishable from untreated color diamonds. Only the prices of these fancy diamonds can be up to a factor 15 lower than untreated color diamonds. The expectation is that the value of these fancy HPHT diamonds will rise considerably the coming years. Considering the extreme scarceness of the source diamond material and the risks involved in the HPHT treatment. 1) It starts with brown diamonds. The brown is caused by plastic deformation in the lattice. Type 1: Diamond that contain lots of Nitrogen . Nitrogen is what can causes a Yellow color. No nitrogen causes colorless diamonds. Type 2: Diamond that contain very small amounts of Nitrogen. Diamond that contain very little nitrogen can be the beautiifull colorless diamonds. Type 2b: This is type 2. Very little Nitrogen, but with Boron (Boron is what causes the blue color). Typa 2a: is type 2 minus type 2b. This type 2a contains diamonds that contain very little nitrogen and no boron. 3) These different types of brown diamonds can be HPHT processed. This process means that the diamond is placed under very high pressure and at the same time the temperature is raised strongly. Temperatures go up to 2000 degress celsius. Which would normally change a diamond in to graphite. Only due to the high pressure the diamond lattice can be maintained. The aim of this treatment is to influence the lattice deformation that causes the brown color. The HPHT treatment is very risky. The chance exists that the diamond breaks, gets damaged or even changes into to graphite. Type 2b: These diamonds containing very little nitrogen, but do contain boron change into blue diamonds. Type 2a: These diamonds with very little nitrogen and no boron change into colorless D-G diamonds. The HPHT process removes the lattice deformation causing the brown color to be taken out. Very sometimes pink or red diamonds are created. The pink and red color is a special form of lattice deformation. The HPHT process is permanent and irreversibel. HPHT treated diamonds are often certified by the GIA. HPHT treated diamonds are very rare due to the risks involved in the HPHT process. A mount is the part of the diamond ring in which the diamonds are set. Most of our mounts are handmade. Depending on the chosen mount, the smaller side stone diamonds can be included in the price. This is indicated on the description of each mount. To get a complete diamond ring you must also choose the necessary loose diamonds. If you have questions about your ring size or other questions, please contact us. We also design and make mountings to your liking. A mount is the part of the diamond jewel in which the diamonds are set. Most of our mounts are handmade. Depending on the chosen mount, the smaller side stone diamonds can be included in the price. This is indicated on the description of each mount. To get a complete diamond jewel you must also choose the necessary loose diamonds. If you have questions about your ring size or other questions, please contact us. We also design and make mountings to your liking. A complete ring is immediately ready to wear. With a complete gem, the cost of the required diamonds, the cost of the mount and put in the price. If you have questions about your ring size or other questions, please contact us. A complete jewel is ready to wear. With a complete jewel: the cost of the required diamonds, the cost of the mount and the setting of the diamonds are included in the price. If you have questions please contact us. Why would you buy handmade jewellry? Handmade jewellry can be made specifically to your requirements. Handmade jewellry is only made in very small numbers. You can therefore be certain that almost no one else is wearing the same jewellry. At Van Amstel Diamond, our handmade jewellry is designed and created for lifelong enjoyment. Handmade jewellry is often forged from solid gold. This gives handmade jewellry a very durable feel. If you have questions, please contact us. Why would you buy industrially manufactured jewellry? Most of the jewellry stores sell industrial manufactured jewellry. Almost all branded jewellry is industrially manufactured. We distinguish ourselves to offer our high quality industrially made jewels for very competitive prices. Of course it is personalize your industrially manufactures jewellry by adding an engravement. If you have questions, please contact us.